Prospective candidates bid for representative’s spot. 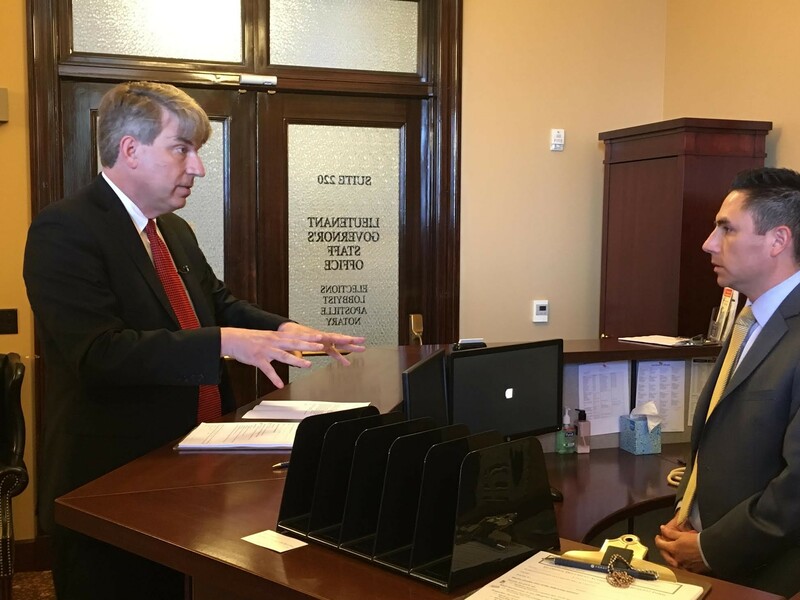 United Utah Party hopeful Jim Bennet, left, attempts to file at Director of Elections Mark Thomas' desk on Friday. Time’s up. After a weeklong filing period, no more party candidates can enter the race to become the next Rep. Jason Chaffetz, R-Utah, until 2018. 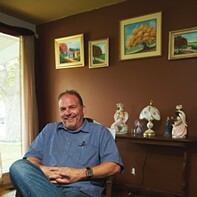 As the 5 p.m. deadline to run for the eventual empty House seat rolled around Friday after a busy afternoon and a flurry of filers. Unaffiliated party candidates can register through mid-June, but for affiliated hopefuls, the stage is set with 15 Republicans, four Democrats, two Independent American Partiers and one Libertarian, who will no doubt try to distinguish themselves to voters in the jagged and angularly shaped District 3. 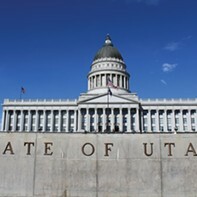 Not making the cut was Jim Bennett, who tried 15 minutes before the deadline to file as a member of the United Utah Party, which as far as the lieutenant governor’s office is concerned, doesn’t yet exist as a registered party. 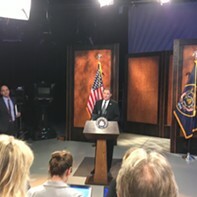 Camera-ready Bennett first addressed election officials by reading from a prepared statement, letting them know that he intended to attempt to register “provisionally” as a member of the United Utah Party, including filling out his application and leaving a check for $285.63. “I think it’s necessary that I go through the process of applying in order to make sure that as we challenge this that it’s clear that we did everything in our power to comply with the law,” he said. After Bennett left, his application and check sat on the election office countertop for about five minutes before officials took it away. Thomas said afterward that it takes time for a party to register—up to 30 days—and the United Utah Party didn’t even turn in all its signatures (which still needed to be verified) until Friday morning. Bennett can still register as an unaffiliated candidate if he chooses. The parties will hold their conventions in June (four Republicans and two Democrats intend to gather the roughly 7,000 party member signatures to appear on the ballot in lieu of a convention win. The primary elections are set to take place mid-August. After the August primary, voters from each party will have selected their nominees, and the winning candidate will be elected in November’s general election. The primary election and the general election fall on the same day as several municipal elections. 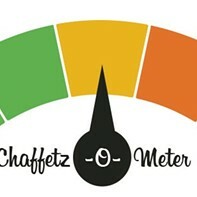 Chaffetz has represented District 3 since winning his first congressional bid in 2008, and he hasn’t looked back since. Until, that is, this year, when he looked back at his life, his wife, his soon-to-be-empty nest in Alpine, and decided the election six months ago would be his last (for a House seat, anyway). In fact, so eager was Chaffetz to peace out, that the sitting congressman—who in 2016 had a laser-focus on Democratic presidential candidate Hillary Clinton—decided that he wasn’t even going to wait out his two-year term. 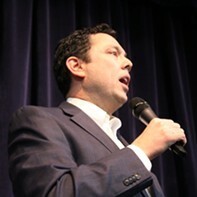 The following GOP candidates have filed to run for Chaffetz’ seat: Stewart Peay, Deidre Henderson, Christopher Herrod, Margaret Dayton, Brad Daw, Damian Kidd, Keith Kuder, Tanner Ainge, Debbie Aldrich, Shayne Row, Paul Fife, Jeremy Friedbaum, John Curtis, Brigham Cottam and Mike Leavitt. The following Democrats are running for the nominee: Carl Ingwell, Kathie Allen, Faeiza Javed and Benjamin Frank. Aaron Heineman and Jason Christensen are the two IAP candidates, and Joe Buchman is running as a Libertarian. Unaffiliated candidates can register until June 12. Write-in candidates will still be able to make it on the general election ballot for about a month after the primary election.